Dr. Ben Talei, with the Beverly Hills Center for Plastic & Laser Surgery, performs upper and lower eyelid lift surgery for patients in Beverly Hills and Los Angeles. These cutting-edge eye and brow lifts can quickly make you look dramatically younger, well-rested and more refreshed. The eyes typically reveal the earliest signs of aging and are the most noticeable. Eyelid surgery has become one of the most requested surgeries today. Dr. Talei, a dual board certified facial plastic surgeon can transform your droopy upper eyelids or excessive sagging eyelid skin. These conditions can impair your vision and make you look older, sad or tired. What is more impressive is that most of these procedures can be done without general anesthesia, quickening recovery time. As you age, excess fat can deposit around your eyes, forming bags. Loss of skin and soft tissue elasticity is also very normal over time and can cause the brows and cheek fat pads to droop. As the cheeks droop, the tear troughs tend to take on a deeper, darker and more hollow appearance under the eyes. Festoons, bags, crow’s feet and malar mounds are just a few of the problems that appear with age. Dr. Talei offers an upper eyelid surgery, or blepharoplasty, for weakened eyelid structures such as the orbital septum that can cause puffiness under eyes. He also offers a procedure called a transconjunctival blepharoplasty. This specific eye lift is made by making an incision on the inner side of the lower eyelid yielding no external scars. Upper eyelid surgery is a rapid recovery time procedure which can be done under local anesthesia and dramatically improves your appearance. Dr. Talei will perform a comprehensive analysis of the brows and eyelids to ensure the most customized and effective procedure is performed. Eyelid position, brow position, skin or muscle excess and the presence of lack of fat, are all important factors to consider during consultation. Dr. Talei is a specialist in eyelid reconstruction and revision eyelid surgery. In cases of hollowing with age or excessive fat removal during prior surgery, an upper eyelid fat transposition can also be performed to give a healthier and more youthful appearance. Specializing in both cosmetic and reconstructive surgery of the eye, Dr. Talei evaluates all patients carefully for signs of ptosis, or drooping eyelids. If unrecognized and left untreated, asymmetry and a tired appearance will persist even after the surgery. Several procedures exist for the treatment of ptosis, and Dr. Talei will be sure to choose the one that will be most effective for you. Lower eyelid blepharoplasty is a straight forward procedure that can be performed under local anesthesia with rapid recovery and no pain. This procedure can be formed with or without external incisions and is used to tighten the lower eyelid, remove excess skin and smooth a baggy appearance. In nearly every case, Dr. Talei combines this procedure with a lower eyelid fat transposition to ensure the most youthful and durable outcome. The results from this procedure are truly remarkable. On occasion, this procedure can also be combined with a variety of lower eyelid shortening or tightening techniques. See below to read more. This is the most effective and impressive procedure for the lower eyelid available to date. Dr. Talei performs nearly all lower eyelid surgeries with a fat transposition. This means that fat from under the eye is released and repositioned in the hollow under the eye, also known as the tear trough or nasojugal groove. This adds the appropriate volume to the tear trough, filling it predictably and permanently producing astonishing results. The fat transposition can be performed with or without an external incision, depending on your eye position and amount of skin excess. This procedure is commonly performed on patients in their late 20’s and on to all ages obtaining consistently impressive results. A canthoplasty is the shortening and/or repositioning of the lower eyelid in order to properly tighten and position it. This procedure should only be performed by a specialist given its complexity. Dr. Talei is a specialist in cosmetic and reconstructive surgery of the eyelid and commonly performs all eyelid procedures. A canthopexy may also be performed in certain cases in order to reposition the lateral junction of the eye, also known as the commissure. A canthoplasty or tarsal strip, may also be performed with lower lid laxity, due to aging or facial paralysis, with predictable and impressive results. 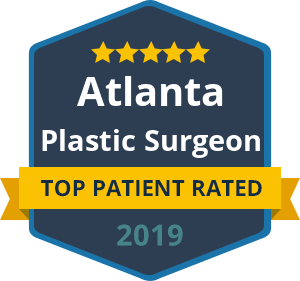 Dr. Talei’s goal in all of his procedures is to provide you with results that are completely natural and leave you looking younger and fully rejuvenated. He is one of few physicians in the country to have dual fellowship training in facial cosmetic and reconstructive surgery, laser surgery, vascular birthmarks and congenital anomalies. Dr. Talei’s delicate hand in surgery, attention to detail and artistic eye are the winning combination in eyelid lift surgery, as many of the tiny incisions are hidden in the natural creases of the eye. Most of these surgical procedures take 1-2 hours and can leave you fully recovered and back to life in 3-5 days. Contact our eyelid lift surgery – blepharoplasty specialists today to schedule a consultation. We look forward to hearing from you.